Children - Gabrielle Luna and Colton Moon (twins born March 10, 1994), and Tiger Lily, May 2nd, 2000. Education: John P. Stevens High School, some College at Rutgers University and Julliard Music School. Tatoos: Joker tattooed on his chest, Tasmanian Devil on his shoulder. Dave began playing trumpet (like his Daddy) at an early age. At seven he began classical piano lessons. He developed his musical skills throughout high school (he was a great student). At 14, David played in his first band, "Transition". 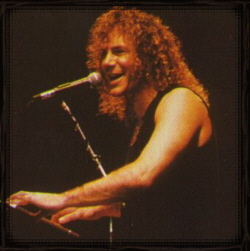 After that, he played in other bands, and played keyboards for friend's John Bongiovi's early band "Atlantic City Expressway (ACE)". After graduation from John P. Stevens High School, David attended Rutgers University majoring in pre-med for two years. David then moved from medicine towards music where he studied at Julliard Music School (a classical music school). "But when Jon called: "I dropped that," he said "'oh ***** it. I'll take a chance." Jon and David then formed John Bongiovi & The Wild Ones, a band that was practically the basis for Bon Jovi. Jon and David, travelled to Los Angeles to promote Jon´s Demo without success until Runaway became popular... and the rest is history! Dave married his high school sweetheart on August 25, 1990. His wife, April McLean, was a jewlery designer in New Jersey. She is a private person who is seldom ever seen or photographed. Dave and April are parents to twins: Gabrielle Luna and Colton Moon were born on March 10, 1994. They had a little girl, Tiger Lily, in May 2000. 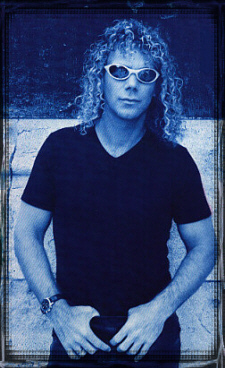 David Bryan first solo album was actually the soundtrack of the sci-fie/horror movie "Netherworld". He then released two albums of his own which offer contemporary music including New Age, classical, Blues, Jazz and Rock.